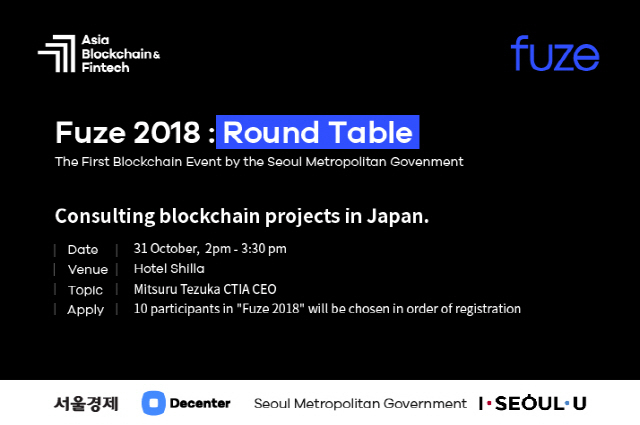 CTIA chief of Korea Hironori Shinozaki made the remarks in an interview with Decenter Oct. 2, saying, “CTIA is a company most well-versed in the Japanese market.” CTIA will take part in a roundtable, a concurrent event of the “Fuze 2018” taking place Oct. 30-31 as part of the Asia Blockchain & Fintech (ABF) in Seoul. What’s notable is that Mitsuru Tezuka, the company’s CEO, will attend the roundtable scheduled for 2 a.m. Oct. 30 and share investment knowhow he accumulated while consulting blockchain projects in Japan. Participants in the roundtable will be able to have questions and answers regarding marketing strategies in Japan. Up to 10 people can take part in the roundtable. CTIA, a specialized consulting company on blockchain projects created by Tezuka, co-founder of ADA that is often called Ethereum in Japan, commits itself to discovering blockchain projects around the world and helping their global expansion. Headquartered in Switzerland, CTIA is a leading consulting firm in cryptocurrency focusing on blockchain projects, ICO sales and investment in Tokyo and Hong Kong. 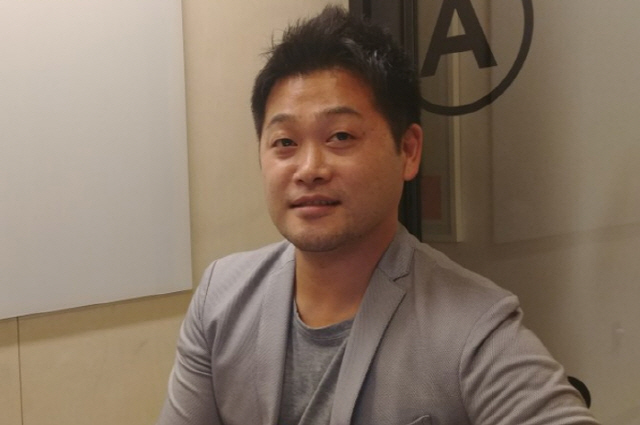 Shinozaki, who is in charge of his company’s overseas marketing and new businesses, advised on how to enter the Japanese market. “Unlike Korea, Japan defines cryptocurrency as assets and so ICOs are possible only through exchanges authorized by Japan’s Financial Services Agency. Korean projects trying to enter Japan will confront lots of difficulties unless they consider local conditions carefully,” he said. This means that project operators must keep in mind - more than anything else - that ICO regulations are different in Korea and Japan. Shinozaki said, “Only 16 cryptocurrency exchanges have won approval in Japan and nearly 160 exchanges are waiting for approval,” adding that given Japan’s regulations, marketing activities and meet-ups intended to attract investors are all but impossible without resorting to professional channels. Israel’s blockchain startup Orbs, which had signed an MOU with Kakao’s GroundX, let its meet-ups in Tokyo and Osaka run by CTIA. He also commented on Japanese investors’ tendencies he had experienced while introducing foreign project teams to Japan. Shinozaki said: “Japanese investors take an active part and show interest in surefire projects that can be actually in service. They strive to invest in projects that could offer clear roadmaps by analyzing white papers. “They also tend to scrutinize such past careers as what specialized results project teams have achieved in specific areas and what projects they have conducted. “Japanese investors make investment decisions after investigating extensively, for example looking into white papers and financial soundness closely. Project teams now have to undergo a due diligence review similar to that imposed on initial public offerings since the bar for investment has been raised. CTIA is already drawing much attention from investors in the Japanese blockchain market by sorting out companies with high growth potential through thorough examinations before accelerating projects. The company makes it a rule to manage projects in six stages: due diligence, TGE (Token Generation Event) advisory, token designing, ICO advisory, community management and localization management. CTIA’s range of activity is wide, from TGE to operation of funds through ICOs. “We promote a token economy through a variety of activities ranging from ICO marketing to fund-raising and localizing. This is designed to help projects expand and adjust business globally by bolstering efforts to activate marketing and lure investors,” he said. CTIA is doing its utmost to nurture competent manpower. The company has MOUs with Meiji, Tokyo, Kinki and Waseda Universities to foster blockchain talent. It has signed an MOU with Seogang University’s Intelligent Blockchain Research Center on education programs for technical cooperation and blockchain and working on a blockchain research study with Hanyang University, including a global hackathon. In addition, CTIA also has plans to make contribution to job creation through blockchain project internship and manpower promotion programs. CTIA also plans to publish the Korean version of “Monthly Virtual Currency,” Japan’s cryptocurrency magazine, which is being issued simultaneously in seven countries including Thailand, Hong Kong, Singapore, the Philippines and Indonesia. “We are performing diverse activities to contribute to the blockchain ecosystem. We will do whatever we can to nurture manpower, expand the scope of the blockchain ecosystem and create a transparent and clean market,” Shinozaki said. His cherished hope is to play the role of bridging Korea and Japan. Meanwhile, the CTIA roundtable will take place at Shilla Hotel Oct. 30 as part of the ABF, the first blockchain event hosted by the Seoul Metropolitan Government. During the ABF in Seoul, various events including job fairs, hackathons, blockchain developer meet-ups and investor relations meetings on blockchain projects will be featured at Seoul Startup Hub in Mapo, Seoul Fintech Lab, Shilla Hotel and Sebitseom Oct. 27-Nov. 1.